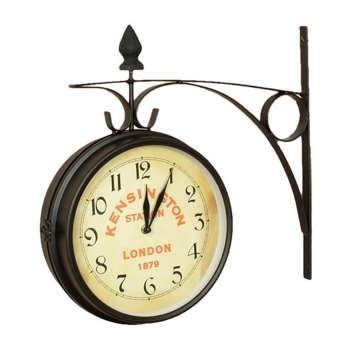 The hand forged metal hanger and casing in a fine black finish add to the old world charm and style of this clock. Finished off with an aged ivory face and glass cover. Item Dimensions: 16.10" x 16.10" x 3.50"